Dentists typically recommend that children see the dentist for the first time when they are about one year old. No different than adults, checkups twice a year and home based oral hygiene ensures healthy teeth, not only through childhood, but as adults as well. Preparing your child for a visit to the dentist is genuinely important. Simply walking in to a place where there are strange noises, strange smells, scary looking shiny instruments and new faces can be upsetting to any child. 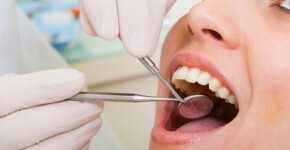 With proper preparation for this important dental visit, the visit can actually be fun for the toddler. The first visit is more of a “meet and greet” appointment. 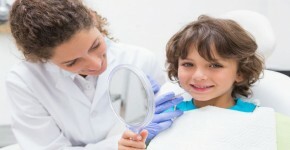 This visit gives you an opportunity to introduce your child to the dentist. The first visit is kept short and rarely does the dentist perform any treatment, it is simply a way for the child to know the dentist in a non-threatening way. Some dentists will have the parent hold the child on their lap while having a brief look while others would rather have the parent wait outside the treatment room; this gives the child and dentist a chance to bond and build a level of trust. The first exam is simple. The dentist will look at the child’s teeth, basically looking for any evidence of decay, checking the way the teeth are coming in and seeing if there are any potential future problems that need to be taken into account. An important part of the child’s first visit to Hills Dental Care is learning the value of oral hygiene as well as learning the proper way to go about it. The dentist will give the parents instructions on what is the best toothpaste for the child and answer any questions they might have. The key to preparing your child for a visit to the dentist is patience. You need to be patient with your child as does the dentist. When the child realises there is nothing to fear you are well on your way to having a child that takes his or her oral health seriously.